Every backyard needs mood lighting, so why not turn up the heat up on your outdoor ambience — literally? 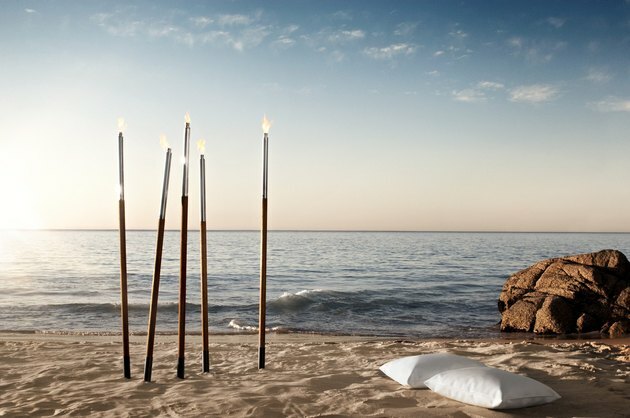 Go beyond your standard citronella candle or bamboo stake and opt for one of these 10 outdoor garden torches to deck out your backyard and transform your next party into an unforgettable night under the stars. 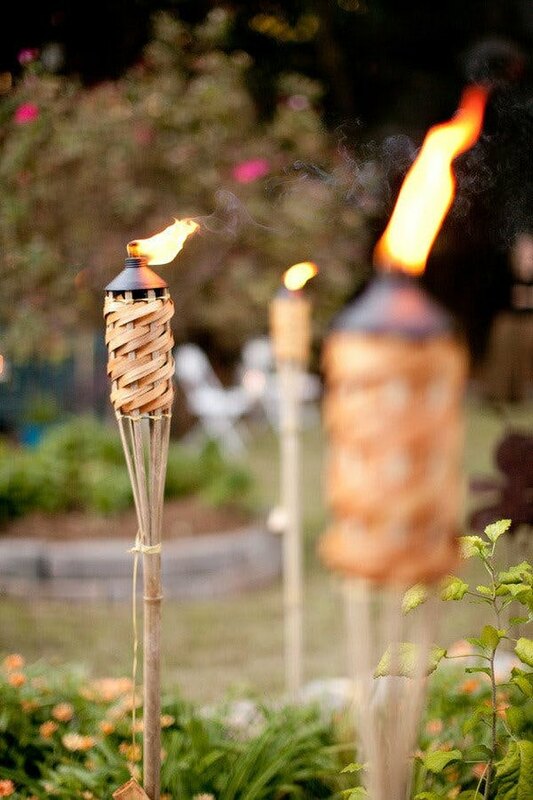 With a burn time of up to two and a half hours, these elegant wood and stainless steel torches are a garden party must-have. Add a little southwestern flair to your backyard with these copper patina garden torches. Prefer a more minimalist approach? These modern cylindrical torches combine a beechwood base and a stainless steel top to give your patio the chic vibe you've been dreaming of. 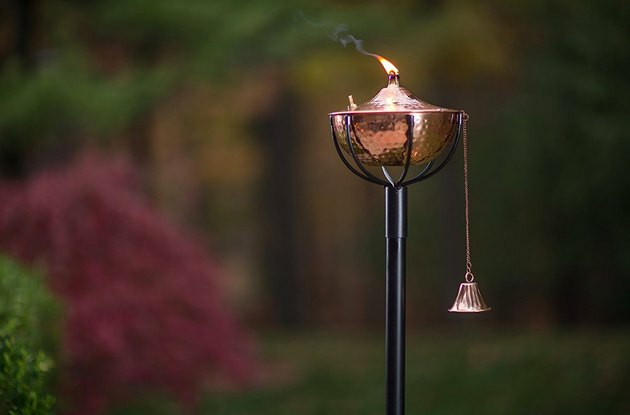 With an adjustable height and a unique copper design, this handsome garden torch is pretty much a no-brainer. And it burns up to five hours, too. What's not to love? 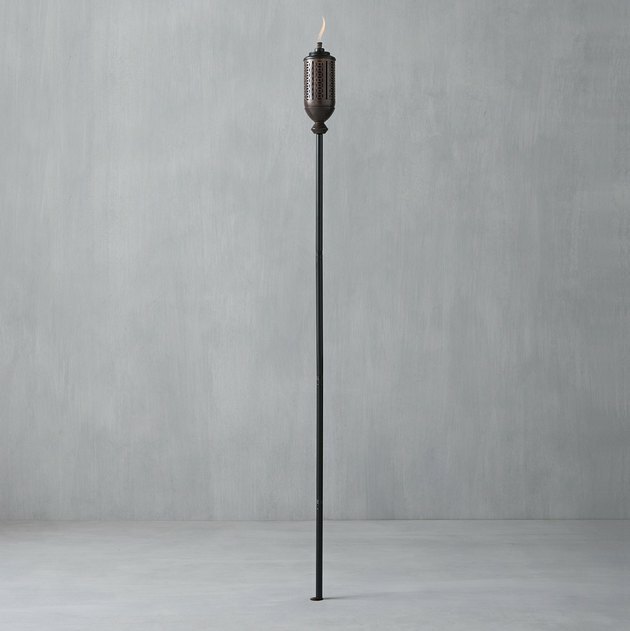 The sleek bodies of these black-painted steel torches are enough to make anyone stop and stare. We think it's safe to say that they'll probably make your outdoor bash a little bit hotter. 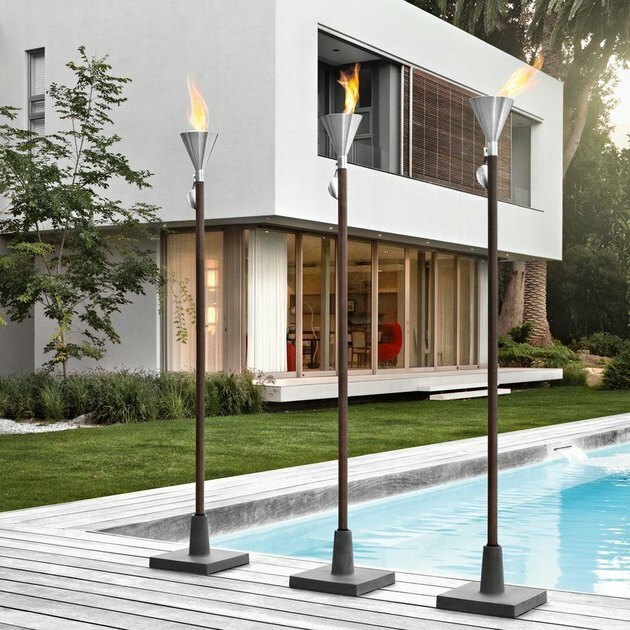 Your lounge-worthy backyard is far from ordinary, so don't settle for an ordinary garden torch. 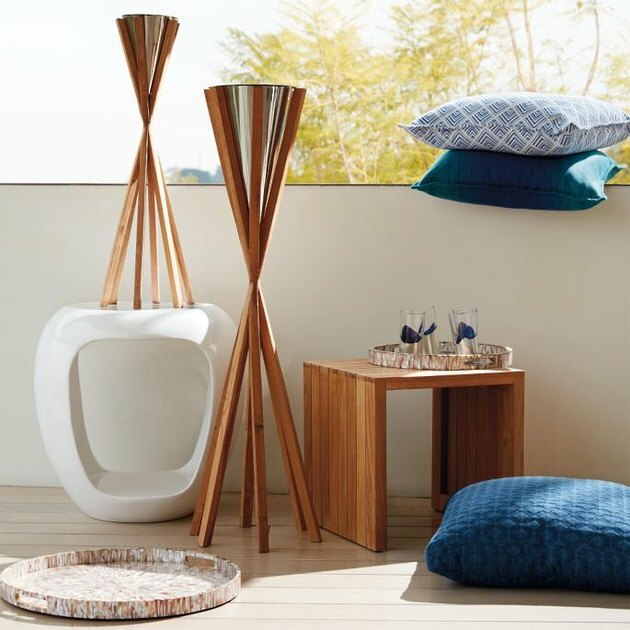 Opt for these teak and stainless steel beauties to light up your beautifully designed outdoor space, instead. You can't go wrong with a classic. 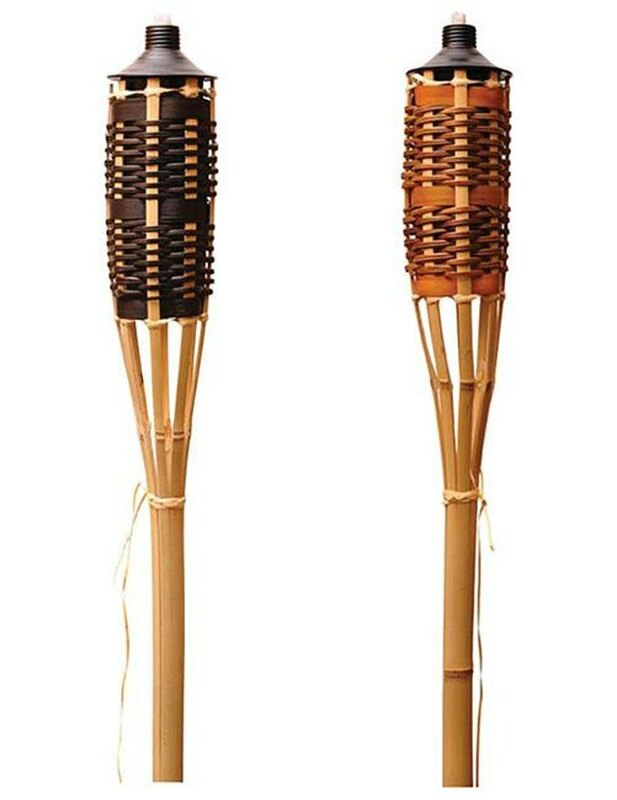 Light up your outdoor respite with these stained bamboo garden torches. 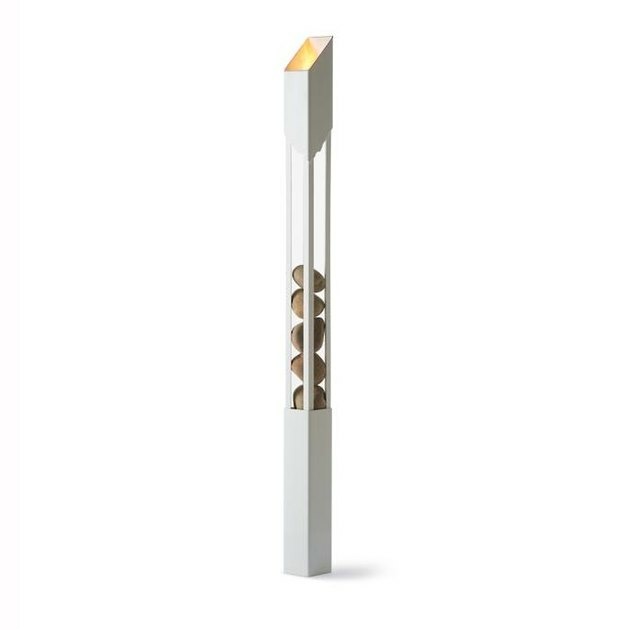 Glam up your backyard celebration with this stylish white garden torch. Smooth rocks — hand-picked from a quarry in Utah — are stacked inside the frame, making this new piece of decor a conversation starter as well as a gorgeous addition to your delightfully manicured outdoor space. 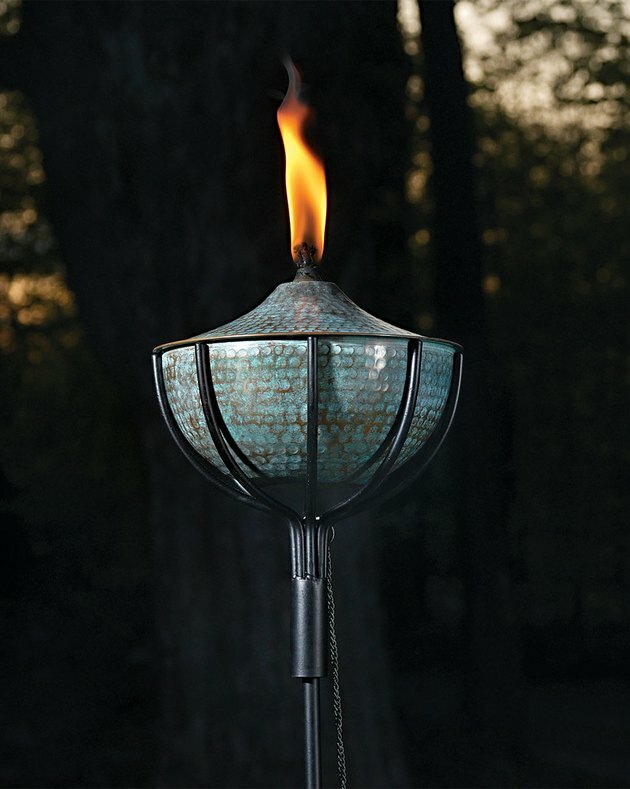 Transform your outdoor space with these hammered copper torches, which look right out of a luxurious Hawaiian resort. And bonus: The copper tops are removable, so you can place them on the tabletop if you prefer. 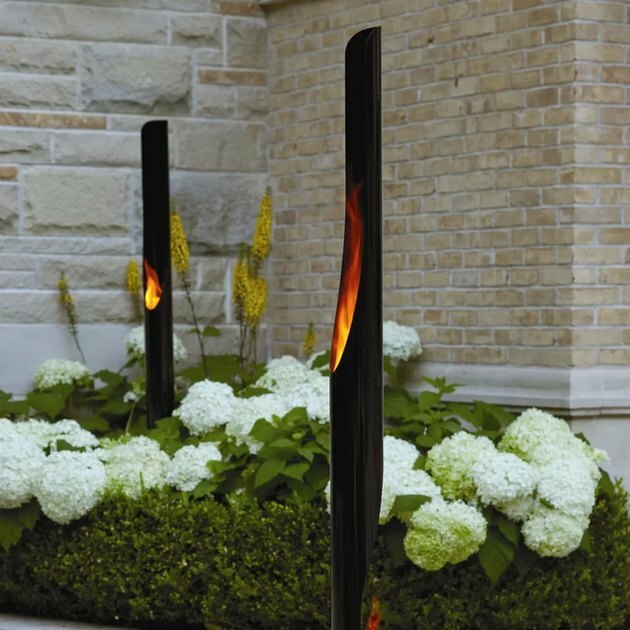 These chic bio-ethanol fire columns are shorter than most torches, making them perfect for path lighting. 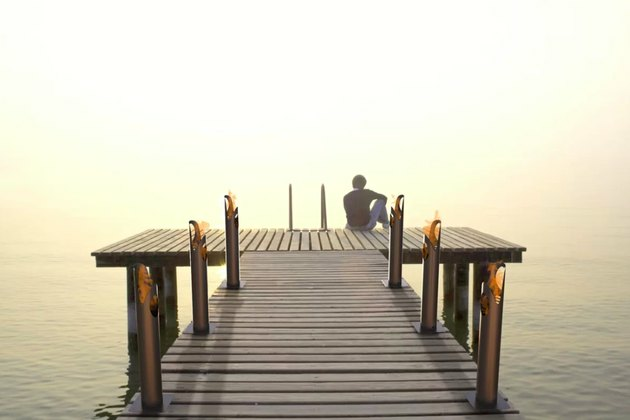 Or, you can place them on both sides of your dream house's private dock to light your way home ... at least for up to three hours.